Governor Nyesom Wike of Rivers State has said that the state will not allow the use of N-power personnel as Independent National Electoral Commission, INEC ad-hoc staff during the 2019 general election. Wike also charged the people of the state to vote for the Peoples Democratic Party, PDP, Presidential candidate, Atiku Abubakar for his understanding of the economy and ability to create jobs. 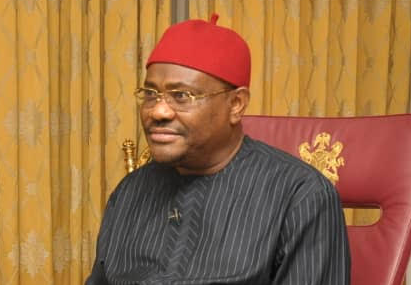 Addressing the PDP Campaign Rally for Ikwerre Local Government Area of the state yesterday at Omagwa, Wike said that the N-power list was concocted to favour All Progressives Congress, APC, with a view to rigging the 2019 general alection. Wike said all Nigerians should share in the blame of allowing a man without knowledge of the economy to emerge as President of the country. “The mass unemployment across the country is due to the emergence of Buhari. All Nigerians should share in the blame for their suffering. We took our future and mandate and handed over to people who don’t understand job creation,” he said. Urging the people to vote for all PDP candidates, Wike said that during his second term he would construct Omerelu and Omagwa internal roads.